Photographs were not meant to sit inside your computer unseen to the world. Show them off with our collection of prints, frames, canvases, and albums. For your walls, hallways, and entryways, a framed print or a modern canvas wrap will greatly enhance any decor. We recommend going large to give the images the impact they deserve - that's why our smallest framed print and canvas size starts at 16"x20". With collections of images such as baby/family sessions, engagement sessions, or weddings, we recommend one of our custom albums. 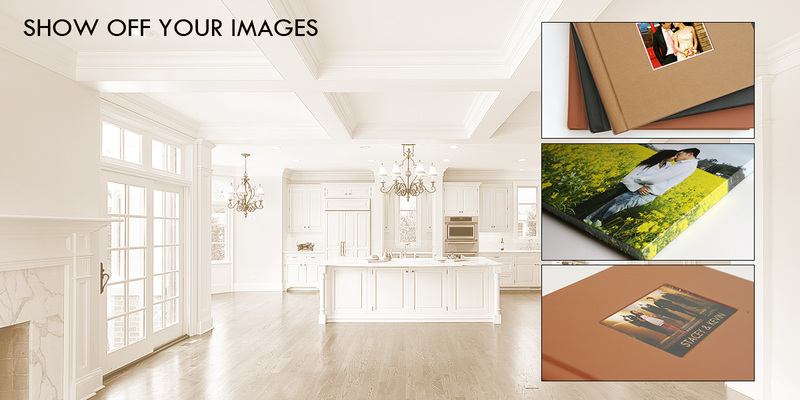 These high-quality professional albums are custom designed with your images and are made to last for generations to come.